This is one mystery where the solution is as good or better than the beginning and middle of the novel. I have read mysteries where it seems as though the author becomes fatigued with struggling to write one more page of his or her book. This causes the ending to seem simple, contrived and a waste of all the reader's time. 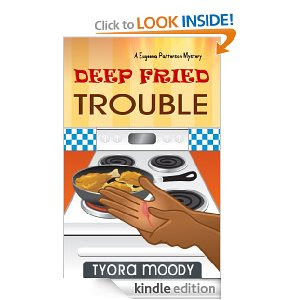 DEEP FRIED TROUBLE by TYORA MOODY is spectacular through the beginning, the middle and the end. When I bought this Kindle book, only the first seven chapters were available. Now the whole book is available and can be ordered. 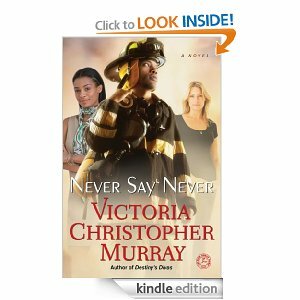 This is a Christian fiction novel about two families. Mariam is married to Chauncey. She is the wife with children. Emily is the wife of Jamal. Emily and Jamal are an interracial couple.Mariam and Emily are friends along with a lady named Michellelee. The three ladies are very close sharing the good times, perplexing times and hard times of life with each other over lunch, at their homes or wherever.